Call it our community duty to help you avoid buying Dad more socks and undies in a desperate effort to buy him something he will use! We’ve put together a great selection of gift ideas that Dad will definitely use and possibly escalate you to “favourite” status – not that Dad’s have favourites……right? 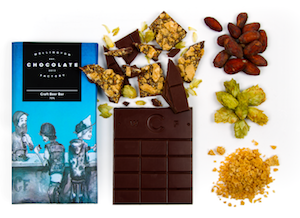 Beer and Chocolate…..an unlikely pairing, but a match made in heaven by the team at Wellington Chocolate Factory. If Dad’s a craft beer enthusiast he’s gonna love W.C.F’s Craft Beer Bar. Infused with house-made caramel and Nelson Sauvin Hops, it’s wrapped and ready for Dad to get his laughing gear around! We doubt Dad will share this bar, so best to buy two. One for him and one for you, so you can compare tasting notes! For Foodie Dad’s we can’t go past Glasseye Creek Wild Meat Sauce. It’s the perfect sauce created by mates in a pub on the West Coast of the South Island – that in its self is a great story. But literally, this sauce goes with everything - from Beef to Venison, Prawns to Sausage Rolls…..just not Whitebait! And it’s gluten-free! If your Dad is a nut butter lover or a ‘nutter’ as we affectionately call them here! Our selection of Nut Butters might tickle his fancy. 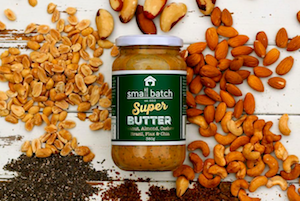 Included in our range from Small Batch, their Super Butter – made from their Classic Crunchy Peanut Butter with heaps of super stuff added like almond, cashew and brazil nuts, flax and chia seeds! It’s bound to make Dad a little bit nuttier…….in a good way! Kat and Tarn of Kawakawa Rotorua have been working on their new range of Kawakawa products, created with men in mind. Their all new Natural Hand Scrub and Hand Repair Salve nourish hard working hands, Organically Natural Foot Powder helps to eliminate foot odour and their limited edition Beard Balm is ideal in taming the unruliest of facial hair! 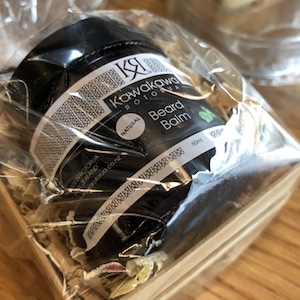 These join the other healing kawakawa products, including their Kawakawa & Dandelion Balm – perfect as a deep heat treatment for tired, strained muscles. 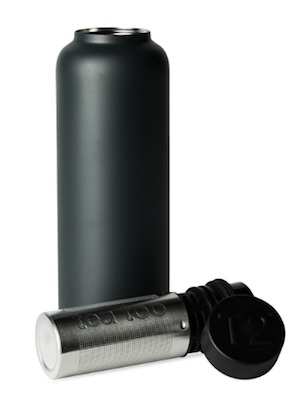 And finally, if Dad is always on the go a T2 Stainless Steel Flask means he can take his favourite brew with him! These Flasks keep brew at 60 degrees for up to 6 hours! T2 Flasks are completely leakproof and hold up to 500mls of his favourite tea! Available in the manliest colours of black, black or black – we reckon Dad will be stoked with his T2 Flask. Most importantly, Father’s Day is about remembering those men who play important roles in our lives, whether they’re our actual Father or not! So pick up the phone, send a card or call in for a visit and remember what your Mother taught you, always say “Thank You”. We salute all Men who influence and nurture our growing generations – we wish you all the happiest of Father’s Day! The Capers Cafe & Store Team.